Our council members are elected by the congregation to serve two year terms. 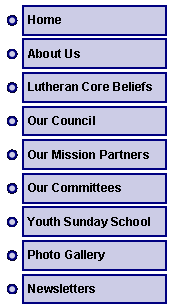 They are responsible for the ministries, property, and functions of Bethel Lutheran Church. Regular meetings are held the third Thursday of each month. Minutes from the previous month's meeting will be posted at the church after they are approved at the next regular council meeting.